Most of the businesses have started making the ideal online store as they understand the importance of selling their product/services on the web. Thus, the e-Commerce is becoming progressively more popular day by day. Are you a business owner who would like to launch your own online store to trade your product/service? Do you think that you should have an immense coding knowledge or a tech savvy person to build a stunning website for your small business? I’d say that you’re wrong! Yes, you can easily create your online stores with the attractive look and make it stand from the crowd. You might be puzzling “How?” Is it so? You don’t need to spend hundreds of dollars to hire web designers to build an e-commerce store for your business. You may go to the well-known online store builder, WixStores offered by Wix.com. Through this post, let’s have an in-depth discussion on creating a stunning e-commerce website through WixStores and its incredible features. Wix.com is a user-friendly, cloud-based website building platform that let the business people make the professional looking HTML 5 websites effortlessly. Since it has hundreds of fully customizable templates existing in different categories, you may choose the template of your own choice and create the unique web presence for your business. This simple website builder has reached over 60 million users worldwide with 45,000 average fresh sign-ups every day. As their main aspire is to allow people to produce a dedicated website and handle their business on the web without any coding knowledge, you may reflect your business brand with a unique Wix website that looks awesome on any gadget. WixStores is an interactive e-commerce website platform offered by Wix.com. If you have a thought of putting your business product/service online, you may opt this excellent e-commerce website builder as it boasts infinite number of features with which even the newbie could generate an exciting online store at ease. You’ll not play with codes or design elements here! Just you need to choose the template and elements to be present in it. Within a matter of few minutes, you could build a profitable e-commerce site without spending much time on hosting set up. Let’s have a look at some essential steps in creating the dazzling e-commerce website through WixStores! Step 3 – Now, you’ve to pick an ideal template from many stunning designs. 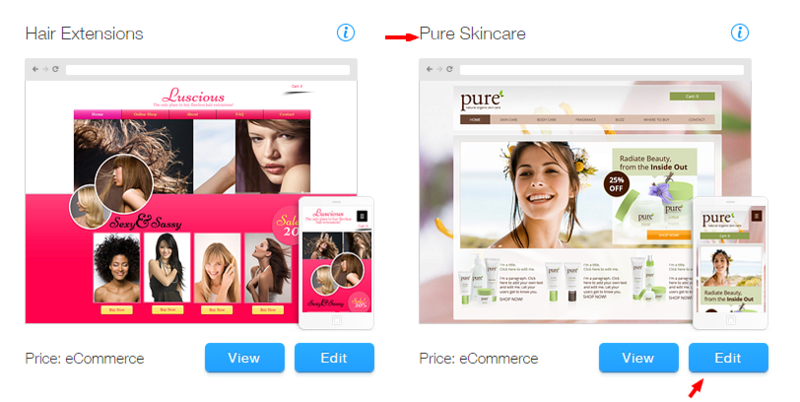 I make a choice “Pure Skincare” and click “Edit” to customize that template. Step 4 – Now, it loads Wix HTML 5 editor which would let you customize the chosen template according to your need. You’ll get many customization choices like Pages, Design, Add, App Market Settings and WixStores in the editor of WixStores. Step 5 – After you’ve done customizing the website of your choice, You can “Save” your work. Step 6 – If you’ve completed the settings of your e-commerce store, you may hit “Publish”. But, if you want to grab some advanced features of WixStores, you have to hit “Upgrade” button at the top. Step 7 – After hitting the upgrade button, you’ll be directed to their pricing plan page as shown below. Step 8 – By giving your enough details, you can buy the premium template for your online store. As I specified early, WixStores have prominent features to amaze its users. Below are some of its notable features that you should familiar with! WixStores has a great template collection you’d be able to choose from. You may also create your own custom design for your business website. All the templates are professionally designed that will fit on mobile devices like the smartphone, Tablets, and iOS devices. You will be able to do an extended customization with the help of powerful HTML 5 editor of WixStores. Just you’ll have to choose and add the elements to make a spectacular e-commerce website. Here, all the designs are responsive and thus you don’t have to work hard to make the mobile-friendly online store. While viewing your business site on any mobile device, viewers will see the same design and it would look great. You can create a detailed product page with enough images and add a ribbon to display the special offers & sale. It is more likely to build a fully functional e-commerce website with WixStores. Yes, it has many superior features like Newsletter, Contact form, Google Adsense, Site booster, PayPal and much more to integrate with your online store. You can also send a special thank you message to your customer after every sale of your product/service and can add your coupons as well. There is an option to add a beautiful blog with just a few clicks to your business site. If you want to grow your audience, you may include Facebook comments and social share buttons to your site. In WixStores e-commerce, you can get payments through secured ways. Managing shipping process is easy and you can change the cost & tax rules according to your customer location. Buyers will have safe buying experience and receive confirmation mail after paying for your product/service. Tracking your orders and manage your inventory can be done in a comfortable way. You can send Shoutout newsletters to your clients for special sales & offers. Creating a good online presence can significantly boost the performance of any business. You can build a prominent, user-friendly e-commerce website with amazing template through WixStores from Wix.com. If you need extra storage & bandwidth for your online store, you may buy their premium packages and remove Wix ads from the design. If you have been looking for a great solution to create a flexible and functional e-commerce website, WixStores is here for you to consider, as it would make both you and your customer happy. You’ll have a complete freedom and creative control here. So, it is the perfect time to grab the unique capabilities offered from WixStores to get a stunning online store that really sells. Don’t wait anymore! 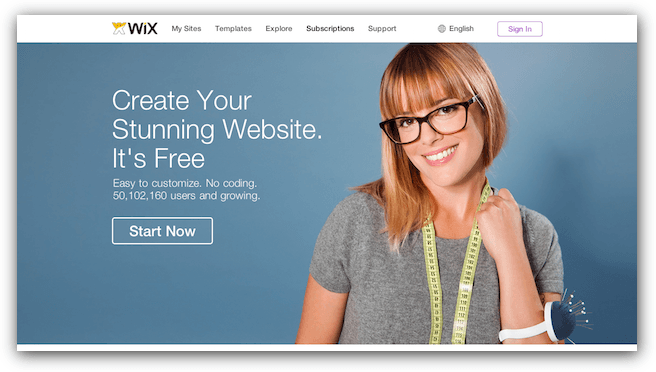 Start building your professional e-commerce website today with WixStores. What do you think of this dynamic e-commerce website builder? Let me know your thoughts through comments. These day Wixstore is a best alternatives for ecommerce website, if webmaster didn’t have high skills about various eCommerce CMS then he/she can manage his ecommerce website easily and can change website layout by flexible ways, great review mem.